Celebrating the launch of the DragonFly 2020 Pro 3D Printer, a series of Demo Days will be hosted by our partners in the United States and Europe in the coming weeks. The award-winning DragonFly 2020 Pro 3D printer for professional electronics will be demonstrated, and experts will be on hand to answer your questions and explain how 3D printed electronics applications can help you grow your business. FATHOM – FATHOM will host an open house and seminar on additive manufacturing for electronics on November 29, 9:30-11:30am at its headquarters in Oakland, California. 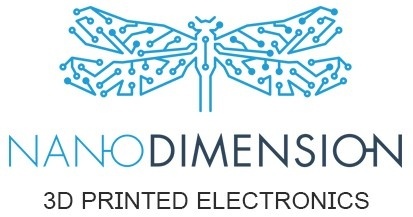 Simon Fried, CBO and co-founder of Nano Dimension, will talk about "What can 3D printing do for Agile electronics delevelopment" as well as current and near-future application advancements. Cadlog and Cadvision are planning Demo Days in February in Italy, France, and Spain. 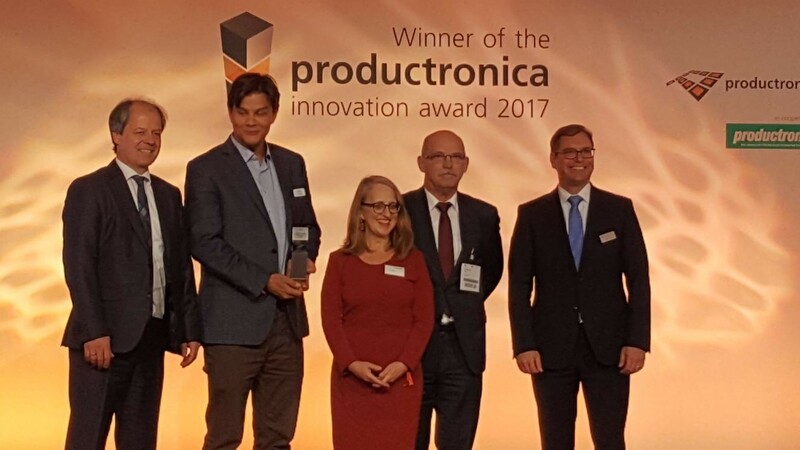 Nano Dimension was awarded the productronica Innovation Award 2017 in Germany this month, for its DragonFly 2020 Pro 3D printer. As the winner in the PCB & EMS cluster, the DragonFly is recognized as the best of the best among new products designed for PCB and electronics manufacturing. 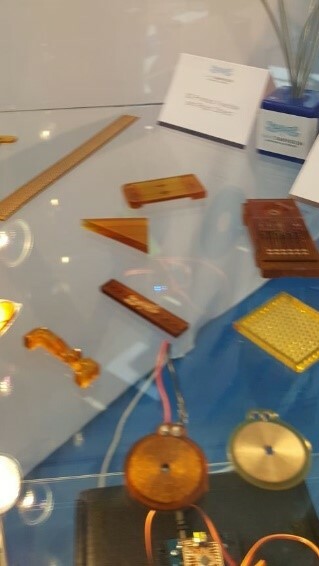 The prestigious productronica Innovation Award is presented every two years. Winners are chosen by an independent jury of industry experts who select the most innovative new product developments and manufacturing techniques in six categories. The excitement from the IDTechEx show is still tangible. 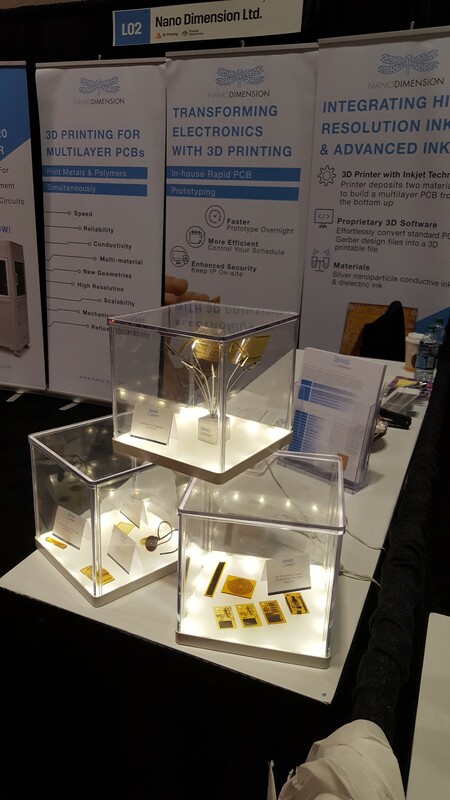 The event, one of the world’s leading trade fairs for innovative electronics, proved that the 3D printing revolution is gaining momentum and is set to transform the entire industry. Our booth traffic was booming, and we engaged with electronics professionals, designers, engineers, resellers and thought leaders from across the globe. In case you were unable to experience the IDTechEx show first-hand, below are a few of the questions that we were most frequently asked onsite. 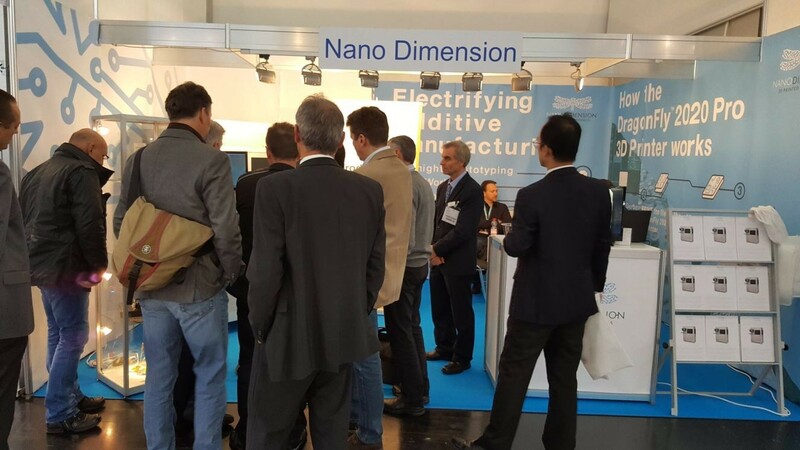 Most notably, Nano Dimension demonstrated the DragonFly 2020 Pro 3D Printer in action for the first time publicly. The DragonFly 2020 Pro is a game-changer for electronics product design, engineering and manufacturing processes, eliminating the bottlenecks and workflow inefficiencies in electronics development, accelerating the way innovative products are designed, tested, and brought to market. - It depends on the type of board, complexity, and volume of prototyping you do. Some boards could cost as little as $10 to print where a standard prototype might cost several thousand dollars. Another major value is the time saved, the increased confidentiality and accelerated innovation. The more prototyping, the higher the return on investment. In addition, an in-house 3D system will help change the way you work. Teams will work in parallel, rather than one after the other. How ready is the printer? - The printer is now available for purchase in our Early Access Program. Can I send you a sample to print? - Yes, you can send a Gerber file, within our design rules/spec. We can also send you a coupon under NDA. How many layers does it print? - The printer prints max 200 x 200 x 0.3 mm boards. Different designs require different layer thicknesses, so the number of layers we can print depends on the design of the board. We support anything up to 3mm, and we see no layer count limitation at this stage. How close are the materials to traditional materials? Are the materials suitable for soldering? - Yes, they are compatible with hand soldering, solder glue and vapor/reflow soldering. We recommend low temperature pastes such as tin bismuth for example.